Join the Lakes Environmental Association for a hands-on, intensive field course that explores our area wetlands, lakes and streams. We will cover topics in hydrology, ecology, limnology, geology, and other fields of interest. The course will be taught by our Science Center Research Director, Dr. Ben Peierls, and our Education Director, Alanna Doughty. We will collect and analyze water samples and discuss current testing parameters, explore the world of macroinvertebrates, and investigate the course of the headwater streams from the Highland Research Forest on the way to Long Lake, as well as the Holt Pond Preserve and the vital role of wetlands. 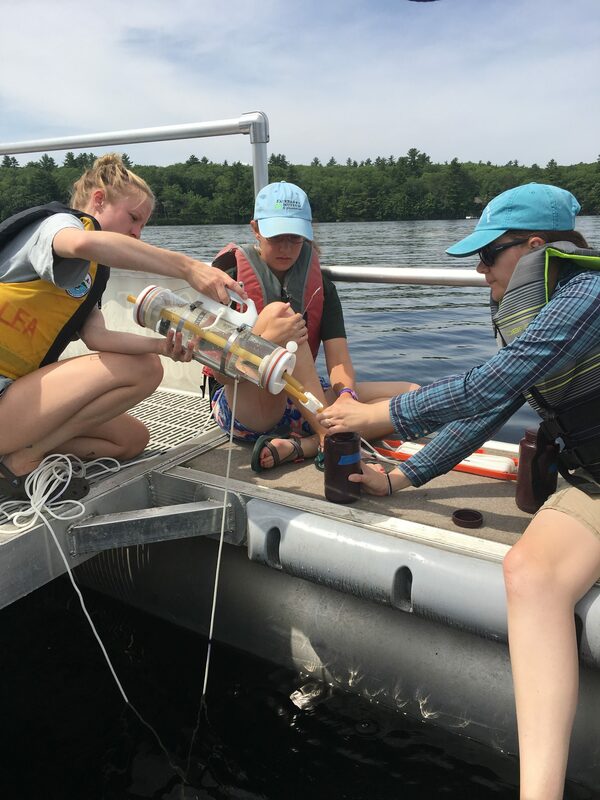 This is a wonderful and hands-on opportunity for high school and early college students to boost their resume, experience a primer on lake and wetland ecology, build a connection to place, and see if a career path in field science is something that piques your interest. The course will run for 3 days, July 16, 17 and 18 with no overnight component. Limiting rental housing available; please inquire if interested. $200 with a 25% discount for LEA members and those who register before June 14, 2019. For more information and to register please contact alanna@mainelakes.org or call our office at 207-647-8580.